In biotech Research & Development, data that is created needs to be documented immediately. Believe it or not, data documentation is the bottleneck of biotech companies that have more than 20 employees. One reason is when a company uses too many tools or platforms. Scientists may store some slides in Microsoft Onedrive, some pdf files in Dropbox, and other collaborative documents in Google Drive. They also put sequencing data that is too big to handle with normal methods into AWS S3. It seems easy in the beginning to document the data to meet the company requirement. However, it is really painful to find the data they need to reuse. One particular piece of information might be in many different places, and different people might use different tools to store different data. It is almost impossible to unify the operation. Labii as one central research repository can take all different kind of documents and manage them in one central location. It can also seamlessly integrate the documents with other data in the ELN and LIMS. The other reason is that the researchers enjoy staying in their comfort zone. They clearly know their R&D bottleneck, they also know there are better tools out there. But they do not want to change. Some people think it is too much work to change, they do not want to reorganize all the work they did before. Other people think the technology itself is too overwhelming, it changes fast and it is relatively time-consuming to keep up with. Labii is still seeking solutions for this. We actively collect feedback from users and improve our platform continuously. We are trying to minimize the work in migrating to Labii and make it as easy to use as possible without much training. Research is hard, especially when data documentation is the bottleneck. Labii has stepped in and worked with scientists to resolve the R&D bottleneck. If you have any questions or request, please feel free to contact help@labii.com. A text editor is essential for an Electronic Lab Notebook. It is the interface that allows you to document description details. In Labii ELN & LIMS, two text editors (Plain Text, and Rich Text) are included to meet various requirements and personal preferences. The Rich Text widget is similar to the tools (word documents and google docs) that users are already familiar with. It comes with a toolbar and the format of text can be changed in real time. The widget is designed for all users and with no steep learning curves it’s easy to get started.. Oftentimes, a word document uploaded to an ELN cannot be edited or modified. To solve this issue, Labii's Rich Text widget supports data importing directly from any text or word documents. Simply drag and drop your finished documents to the widget and all content will be loaded automatically. Labii also comes with a Plain Text editor. 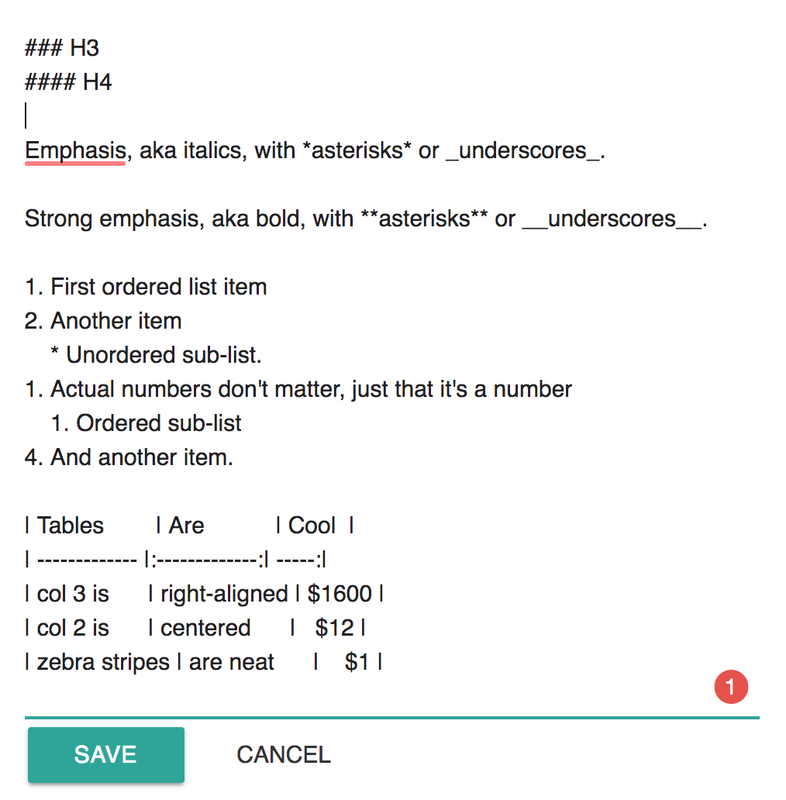 The editor is similar to a text area box and supports markdown to format styles. The Plain Text editor also supports document importing. 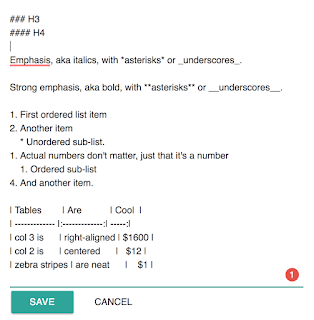 Labii ELN & LIMS Plain Text Editor. Type any text into the Plain Text editor, and your ELN is ready to go. Submit a support ticket to let us know what other features that you want to see in the text editor. 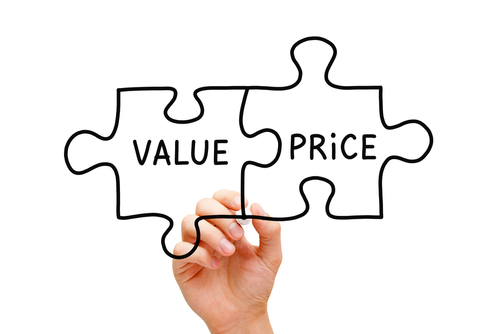 Is an ELN & LIMS too expensive for you? People said YES are usually from academic. In their mind, research software should be open source, free, and accessible at any time, anywhere. This is because the software developed inside a research lab is often funded by the government like NSF or NIH. The funding policy requires the research scientists to make it publicly accessible. And, they are getting used to that. Can an ELN and LIMS be free like other scientific software packages? Most of the scientific software packages are usually developed by one or a few people, and barely maintained. These packages are usually the projects of graduate students or post-doc, once they graduated or left, it is out of continuity. An ELN and LIMS is a complex software platform, requires a group of developers working on it and improve it, for a long period of time to keep up the new technology and new requirements. This is one reason that it cannot simply be achieved as a side project of graduate students. Also, the funding resources like NIH or NSF do not consider ELN / LIMS software platform to be innovative enough to support. They are more willing to support the discovery scientific projects. I have personally applied SBIR twice for Labii ELN & LIMS, and are all failed for such reason. To conclude, the development of ELN & LIMS cannot be developed with a few researchers and difficult to get government funding resources, as such, it won't work to make it free like other scientific packages. How about open source? Open-source sounds like a great idea to keep a big on-going project free. However, open-source will never go with security. Data generated in ELN & LIMS are essential and sensitive, they are the most important part of research and the representative of the intellectual property. With open-source ELN or LIMS, anyone can spot the source code and can utilize the bug to hack other people's research data. If you do not want to risk your data, do not use open-source ELN & LIMS. If ELN & LIMS is not free, is it too expensive? Some people are not used to spend money on software. It just feels like too much to spend, even it brings more value than the cost. Other people have the wrong mindset that the results are what matters, the process of documentation does not. As such, they produce poor results that cannot be repeated by others, or even by themselves. Most of students or post-docs, who claim they do not have money, spend $140/month in coffee, and at least $50/month in movies. However, it is ironic that they do not want to spend a fraction of that cost in the ELN and LIMS, which on the other hand, controls the most important data in their research career. The cost of ELN & LIMS is not millions of dollars that will make your lab bankruptcy, it only cost you a couple of coffees. Scientists should value their research data more and change their mindset in using ELN & LIMS.